Have you ever wondered about the Universe: the Earth, Moon, Sun, stars, and planets? STEM toys may shed some light on these questions and bring you closer to answers. They educate you about the outer space through practical activities and provide details of the Earth's relation to the universe. 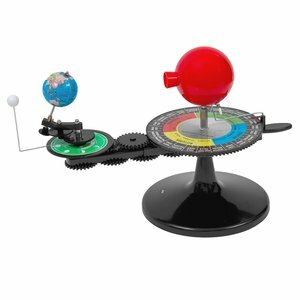 Kids will develop an understanding of day and night, eclipses, the four seasons, the Moon’s phases, and many more. Earth & Space science is most certainly a STEM subject because these matters are really important for the future of humankind. 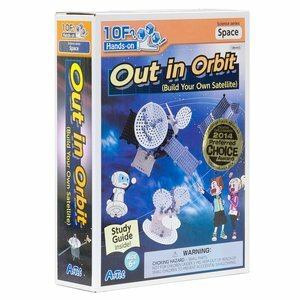 Learn how satellites work by making one of your own. Japanese brand. 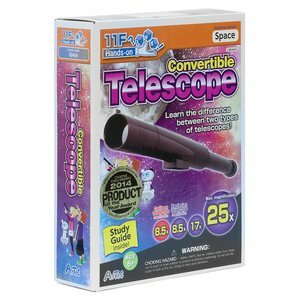 Build two types of telescopes and hold hands-on experiments. Japanese brand.